1. Slice the sweet potatoes into french fry shape. Cut off the tips if you want, otherwise they will become charred when baked. 2. Toss the sweet potato fries in oil and arrange on a wire cooling rack, positioned on top of a baking sheet This will prevent sticking and will allow the fries to cook more evenly. Sprinkle with sea salt and bake at 425˚ for 18-22 minutes or until desired tenderness. 3. 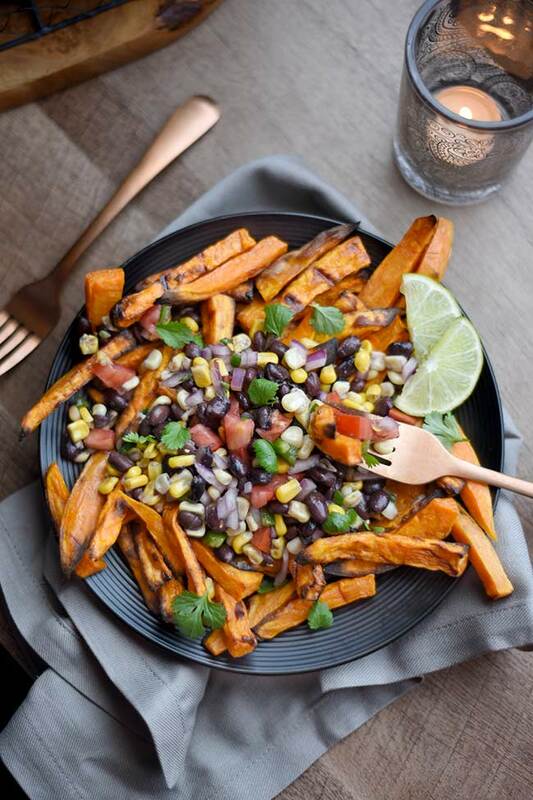 While the fries are baking, toss together black beans, corn, serrano pepper, tomatoes, red onion, and lime juice. 4. When fries are done baking, arrange them on a platter, top with black bean and corn mixture, garnish with fresh cilantro and the dig in! 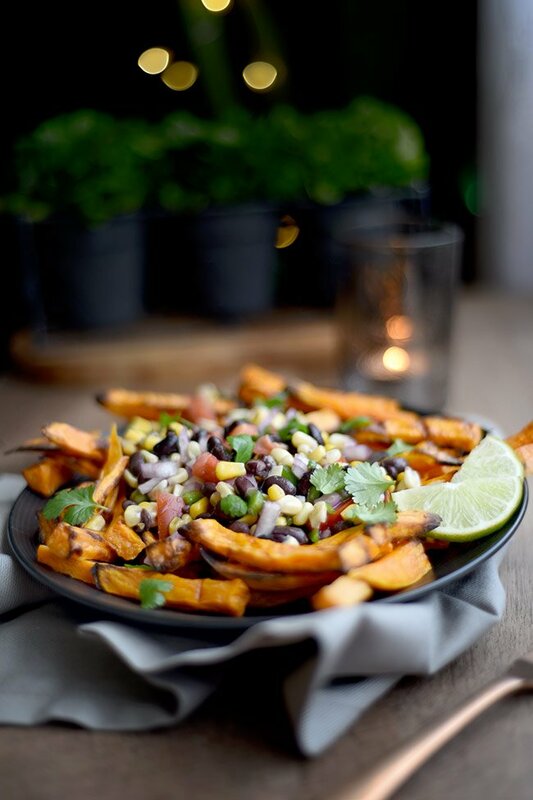 I think you’re are going to l-o-v-e these Mexican-style baked sweet potato fries! They are awesomely healthy and more importantly, delicious. The warm mild sweet and saltiness of the sweet potatoes combined with cool fresh, flavorful Mexican-inspired toppings is like a party in your mouth. ???? Seriously though, this simple combination of cilantro, a little salt and lime goes such a long way for flavor (Chipotle fans, where you at?) that you don’t need any additional toppings or dressings. Calories saved! Speaking of parties, this dish would make a super yummy appetizer. The cool thing is though, it makes a great lunch or dinner too. This might be a stretch but throw a couple sunny side up eggs on top and you could call this breakfast. Very versatile. Very yummy. Did I mention freaking delicious? 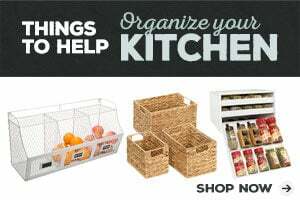 To evenly bake your sweet potato fries, you’ll want to put them on a wire baking rack, placed on top of a cookie sheet. This will help the bottom of your sweet potato fries get air so it will prevent them from sticking to the bottom and will ensure the heat gets to all sides for a perfectly crispy outer layer. 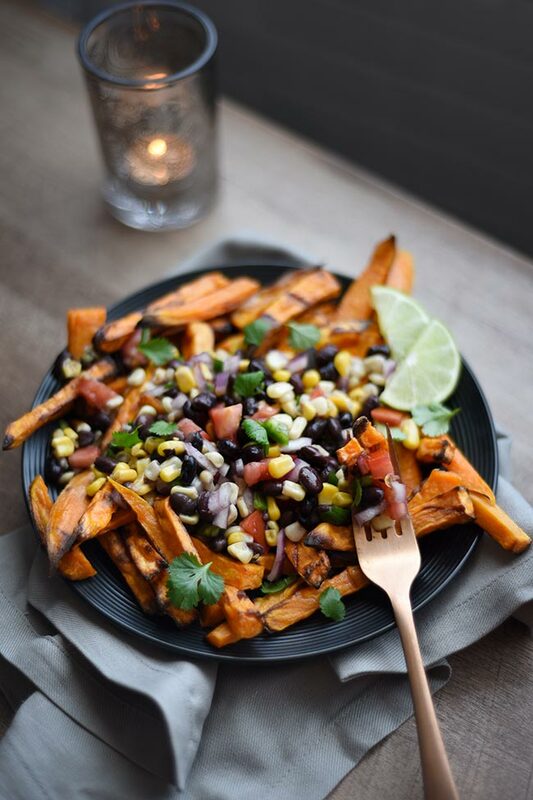 These Mexican Style Baked Sweet Potato Fries were featured on Menu Plan Monday!